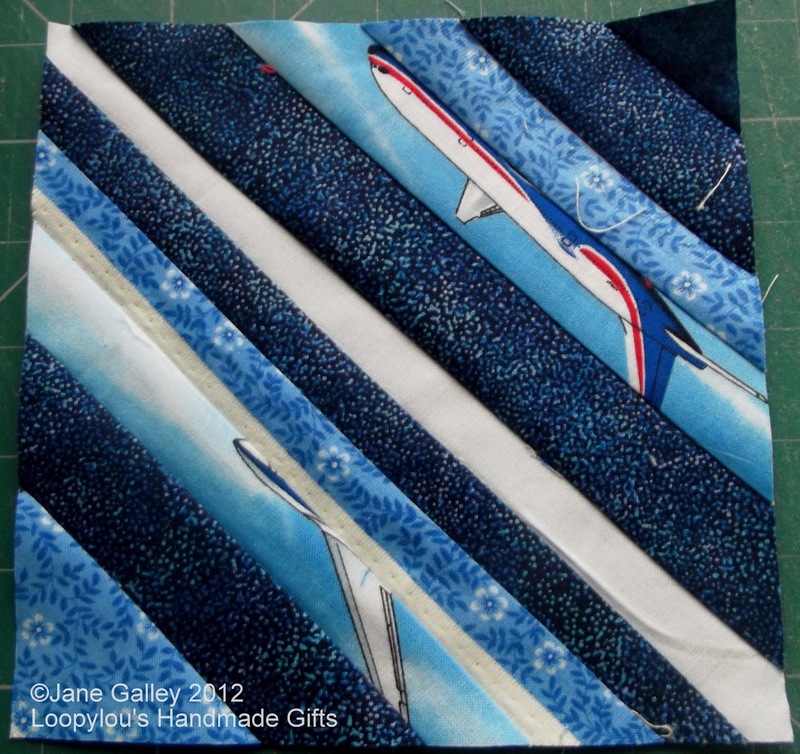 I've finally got to my blue scraps for the Rainbow Scrap Challenge, and have my six blocks made up. 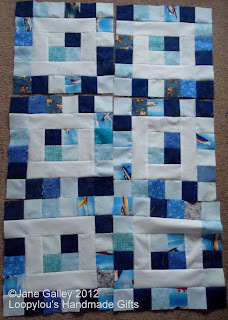 It seems blue has been used quite a bit in the last few weeks, so even though it's been late working on the blue blocks, it's been a blue month. I have my string block, and a crumb block too. In just over a week, we shall find out what colour we'll be using for August. 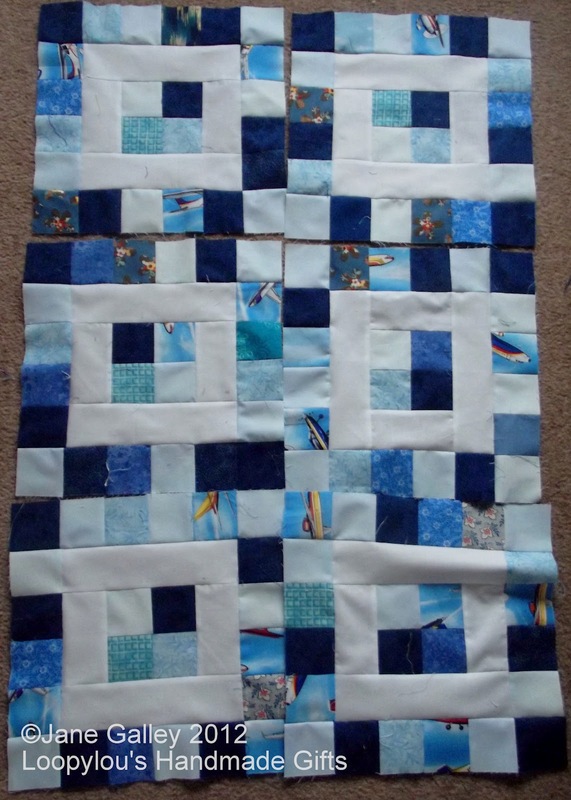 Very good job of using up scraps. Love your blue blocks. Great work.